Adults On Grassed Area With School Children Supervising A Soccer Game, Everyone Can Be Seen Running And Chasing The Ball. Royalty Free Fotografie A Reklamní Fotografie. Image 43346344. Reklamní fotografie - Adults on grassed area with school children supervising a soccer game, Everyone can be seen running and chasing the ball. 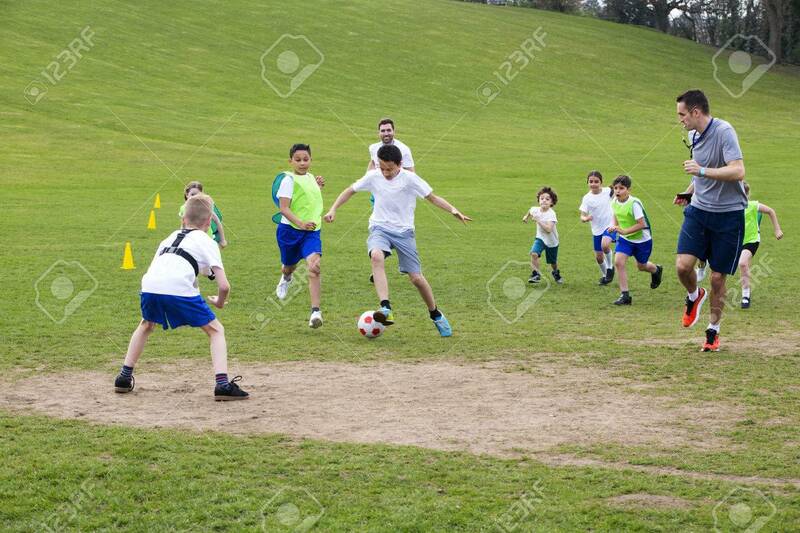 Adults on grassed area with school children supervising a soccer game, Everyone can be seen running and chasing the ball.